Human population is 2500 and there are about 1,5 polar bears for each of them; an island located far north in the Arctic - in fact the next stop is the North Pole, a place for coal mining, glaciers with hidden ice caves, abandoned Russian settlements, home of the global seed vault, the islands was originally called Spitsbergen and discovered by Willem Barentsz, in 1596, a demilitarized zone, total darkness in winter and midnight sun in the summer, a part of Norway but you still need a passport when you travel there from Norway! This is a trip report from our New Year’s Eve celebration in Longyearbyen on the Norwegian islands of Svalbard. This is a short trip report from a long weekend visit to the islands of Svalbard (or Spitsbergen) in the period from December 30th 2016 to January 2nd 2017. In the following pages you will find a google map of Longyearbyen and more photos from the trip. Please get in touch by e-mail if you have any questions or comments. All pictures are taken by Nikki and Gard with our cameras Panasonic Lumix, GoPro and iPhone. First of all: where is Svalbard and what is Svalbard? Where is pretty easy to answer: it is a group of islands located north off the coast of Norway. Maybe you thought Norway was as far north as you could possibly get but the main town on Svalbard (Longyearbyen) is located 1000 km (600 miles) from Tromsø in northern Norway and it is basically half way to the north pole. In fact, it is one of the most northernmost settlements in the world. Svalbard is under the sovereignty of the Kingdom of Norway - under the Svalbard Treaty dating back to 1925. This also specifies that it is a demilitarized zone and it is a visa free zone (Svalbard is not a part of Schengen like mainland Norway). The treaty also states that several counties can carry out mining and other commercial activities but it is mainly just Norway and Russia that has been exercising this right. Another good question might be “why go to Svalbard?” It is first of all a chance to get into the Arctic wilderness and experience 24 hour extremes - total darkness (in winter) or all day daylight (in the summer). When SAS (Scandinavian Airlines) had a good offer, we booked tickets to celebrate New Year’s Eve in Longyearbyen. Over the last few years we have been fortunate enough to visit many countries around the world including Cambodia, South Africa, Italy, Malaysia, Korea, Philippines, Portugal, Myanmar, Iceland etc and if you want to get an idea of what kind of travelers we are, it might be a good idea to check out some of the other trip reports. Map of Svalbard and Norway. Map provided by www.mapsofworld.com . After booking the flight to Svalbard we started looking at hotels. There are not that many hotels or general tourist lodging to choose from in Longyearbyen and we decided to splurge and stay at Radisson Blu Polar. Here is my review of the hotel posted on TripAdvisor. We also started looking into various activities and decided to book some in advance. You can do snowmobiling; go hunting for northern lights, go dog sledding etc. There are not that many restaurants either and we decided early on to book a table at Huset for New Year’s Eve. We got up early on December 30th and drove to Stavanger Lufthavn – luckily we only live a 10 minutes’ drive away. Our first flight was to Oslo and after a short stop we continued on to Tromsø located in northern Norway (at 69 degrees north) – a flight that takes about 1 1/2 hours. I mention the location in degrees as it is important to understand how far north this is. If you go to the same latitude as Tromsø south of the equator you end up on the shorelines of the Antartica! Tromsø is a good place to visit if you want to check out northern lights (aurora borealis) – we went there a few years back and you can read the Tromsø trip report here. This time we were not staying – we just had to change plane to continue further north. As Norway is a part of Schengen (which allows you to travel between many European countries without a passport) and Svalbard is not, we had to go through passport control in order to board the plane. 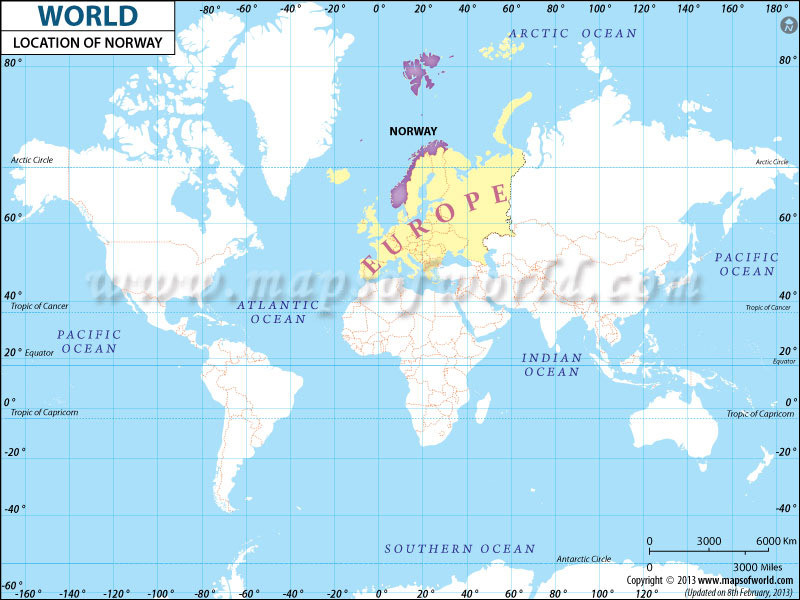 This was of course a bit strange as Svalbard is a part of the Kingdom of Norway but rules are rules. This also means that everyone travelling to Svalbard has to have their passport – even Norwegians and Schengen / EU residents. Note: Local currency is the Norwegian kroner (NOK). It is advisable that you use either debit / credit card payment or have local currency. Apparently it is not possible to convert e.g. Euros in the Svalbards banks. 100 Norwegian kroner is about 12 USD in January 2017. We started from Stavanger at about 7.30 am in morning and we landed in Longyearbyen on Svalbard at 3 pm. It takes a while to get out in the wilderness in Norway! The flight from Tromsø to Longyearbyen took about 1 1/2 hours and most of the flight was in total darkness. This far north of the Arctic Circle the sun never rises above the horizon during winter. It was about -10 Celsius (14 Fahrenheit) when we landed at the small airport Svalbard Lufthavn Longyear just outside of Longyearbyen. It was windy and cold so make sure you have a good jacket on board with you – luckily it was just a short stroll to the terminal building. Note: Longyearbyen was established and named after John Munro Longyear. John Munro Longyear was an American that started coal mining there in 1906. Originally named Longyear City but now it is called Longyearbyen (meaning Longyear town). It took a while to get the luggage despite the fact that there was only 1 plane parked at the airport. Keep in mind that Svalbard is an island with very few natural resources so a majority of supplies have to be imported and transported by air. Waiting around gave us chance to take a closer look at the stuffed polar bear standing at the luggage conveyer belt and look at all the tourists that were ready for an arctic adventure. Talking about polar bears I have to mention that there are about 3000 of them on Svalbard so they actually outnumber the local population. But having said that: there are very few people that has been attacked and killed by polar bear on Svalbard. Due to the danger of polar bears it is mandatory by law to have means to scare away polar bears when you move out of the city center. This means that guides will be carrying rifles when taking tourists on various tours. It was also fascinating to see the number of dogs that had arrived on the same flight – a lot of the guides and other locals were also on the same flight. Svalbard was originally discovered by the Dutch Willem Barentsz in 1596 which means that Christopher Columbus had already discovered the Americas at this point. He named the island Spitzbergen after the sharp mountains. The islands was later renamed Svalbard by the Norwegians meaning something like “cold shores” which is also a good name. Note: it is forbidden to carry a loaded weapon in Longyearbyen and to bring guns into shops. You can read more about the firearms rules on this page. It’s not often you notice a firearm storage room at a hotel – but ours had one at the entrance. We took the airport express bus from the airport to Longyearbyen and it cost 60 Kroner (7 USD) per person 1 way. The bus into Longyearbyen only takes about 10 minutes and it stopped right outside the Radisson Blu Polar hotel – and other hotels / lodgings. It was not that easy to get an impression of the town as it was dark but there are a few roads that are lit up. There are about 2500 people living in Longyearbyen today and most are Norwegians – but there are also quite a few Russians, Swedes, Germans and Thais. Once we had checked in, we just dumped our suitcases and changed and got ready for a quick tour: Longyearbyen in a nutshell. We wanted to get a first glance and overview of the town and we were picked up by a bus at 4 pm. We thought that it would be a bit more of an intimate affair but we were picked up by a regular bus with lots of other tourists. Our “local expert” turned out to be a German guy and he turned out to be knowledgeable and funny. He told us about Svalbard and Longyearbyen history and drove us around town. We stopped at Svalbard Kirke (the church in Longyearbyen) that seems to be open to all people of all beliefs. We had a short stop and a peek inside the church. Remember to take off your shoes! Note: When packing for Svalbard, make sure you have indoor and outdoor shoes in your suitcase. Most places require that you change shoes once you enter a building e.g. hotels, restaurants, the Church. Our hotel had slippers for guests to borrow and the church had crocs. We continued a bit out of Longyearbyen and stopped by a sign that appears on many postcards, stickers, etc: the warning sign about polar bears on Svalbard. As we walked out of the bus it was windy and cold and getting a good photo of the sign was not that easy. Especially when one started to imagine a real polar bear coming up to remind you how true the sign could be! We continued the road into what is known as Adventdalen and on the way we passed the only active coal mine on Svalbard (gruve 7) which produces about 70.000 tons of coal each year. We got out of the bus at a station where there were dogs and it seemed to be an old settlement. The driver got out first with his gun and gave us a signal when we could get out. I’m not really worried about polar bears but getting out into the dark is a bit like snorkeling in tropical waters. When you snorkel you can also look towards the dark and deep blue sea and you don’t see the danger that is hiding there. We did not see any polar bears and we just had a look at the seals that were hung up to dry and at the old equipment that was scattered around. We drove back to Longyearbyen and there was a blizzard like weather with a bit of a whiteout from time to time (known as snøfokk in Norwegian). Past the town, we continued towards the airport and started driving towards a greenish light in the hill above the airport. We were on our way to the ultimate doomsday prepping site: the global see vault. This places houses seeds from around the world just in case there is a disaster where we need to start producing crops from scratch again. The site was chosen for several reasons. First of all Svalbard is a bit out of the way. The climate is cold and that means less energy on cooling the facility and if the energy fails it will still stay pretty cold inside the mountain. From a visitors point of view the Global Seed vault is not much of an exciting place. It looks like a futuristic portal as the concrete entrance sticks out of the mountain face. Above the steel entrance doors there is an artwork that looks like a portal to another dimension due to the greenish lights and crystals. All of the interesting stuff is deep within the mountain were all the 5400 seed species are kept at a steady -18 degrees Celsius (about 0 degrees Fahrenheit). Note: no, you cannot get access to the facility unless you’re e.g. a nobel prize winner like Wangari Maathai or need to replant almost extinct plants because of war – like Syria. We had dinner at Kroa located in the “main street” of Longyearbyen. It is really a pedestrian street that contains a few bars, shops and restaurants. It was only 500 meters (550 yards) to walk from the hotel but Nikki was a bit freaked out by all the talk of polar bears so we walked there quickly. The other challenge is of course how to dress when it is -10 degrees and strong wind. We had regular clothing but had warm clothing and windbreakers on top to keep warm. We had planned to shed all of this when we got to Kroa but it turned out that the place was a very informal and relaxed place so there was no need to dress up. The menu at Kroa reflects that many nationalities have come together here. They had stuff on the menu ranging from smoked mink whale to Indian dhal – and burgers and pizza of course. We were a bit disappointed as several of the items on the menu were not available. I had the klippfisk (clipfish/stock fish) that was excellent but Nikki was less than thrilled by her hamburger. The cost of the food was 400 kroner (47 USD). Apparently Kroa closed for renovations on the new year. Note: a visit to Kroa gave us a chance to taste the local beer. Yes, Svalbard bryggeri claims to be the most northernmost brewery in the world and they make different kinds of beer. You can even arrange for a brewery visit! After a good breakfast the next day it was time to head out snowmobiling!! We did consider dog sledding but we decided to try that the next time we visit. There were a bit of a blizzard a couple of days before we arrived in Longyearbyen and due to this there was a bit of snow all over town. It was -10 degrees Celsius (14 F) and we suited up in warm clothing. We were picked up by a small van at 10 am and it was only a short drive to the Svalbard booking facilities where we could leave some of our clothing and put on more heavy duty boots, overalls, helmets etc. The scooters were just across the road and we got a short introduction on how to drive: start it here, the throttle is here etc. And then we were off basically. We were a group of about 10 people and the armed guide took the lead and kept an eye to see if we all were able to keep up. We drove out of the town and into Adventdalen again. The weather was cold and windy but with the clothing I had on (and with heating in the handlebars) it was easy to keep warm. But from time to time there would be gusts of wind that resulted in a whiteout but we did not lose any drivers on the way! On the way we came across some reindeer that did not seem to be that afraid of us. We stopped to have a look at them and the Swedish guide gave us some info about how they are different from the reindeer on the main land (e.g. shorter legs and rounder). Note: you should layer for outdoors activities. Read more about this on https://english.dnt.no/winter/ . Most dining places are casual but you’re welcome to bling up for Christmas and NYE. According to the description we drove about 20 km (12-13 miles) out of Longyearbyen. Driving in this weather is a bit mesmerizing and I got very focused on just following the guide in front of me. But when we stopped and killed the engines it was amazing to be out in more or less total darkness and in total silence – apart from the sound of the wind. We found a spot that had some sort of shelter and the guide made some coffee/hot chocolate/toddy for the group but the weather was not very pleasant so we did not stay that long. On the way back we stopped at what is left of a German plane that crashed many years ago. Note: Remember that historical items dating back from 1946 are protected and are to be left untouched. But it seems like you are free to bring back fossils. When we got back to Longyearbyen we slipped into our regular clothes and got a ride back to the hotel. The bottle of water that I had in a pocket on the backpack was partially frozen after the drive and that gives you an idea how cold it was. It was fun to do the snowmobile tour but it would have been better if the weather had been great to see northern lights or if it had been lighter so that we could see more of the surroundings. This northern light safari cost about 1750 kroner (200 USD) per person and you can read more about the tour that we took on Svalbard booking. Remember that you need a driver’s license for car, motorcycle or snowmobile to participate. We got back to the hotel just in time to run over to Svalbardbutikken. This shop is a department store but it also has a liquor shop called Nordpolet (it is a Norwegian world play). The liquor shop prices are a bit cheaper than on the main land. To give you an idea: a bottle of Spanish Rioja Faustino 1 is 230 kroner (27 USD) on the mainland while it was 160 kroner (19 USD) in Nordpolet. We got some bubbly and soon we were in the outdoor hot tub at the hotel drinking the bubbles. The water kept a pleasant 38 degrees (100 F) while -10 C in the air made my wet hair freeze! We celebrated New Year’s Eve with a fantastic dinner at Restaurant Huset. As we walked out of the hotel to go to the restaurant at about 7 pm there were strong northern lights in the sky and I managed to take a photo of it with my cell phone before we got into the taxi. Huset has both a bistro and a restaurant part and we had a great 5 course dinner in the restaurant. All the guests went outside with bubbly in hand to watch the fireworks as the clock struck midnight. We topped the night off dancing into the early hours in the “nightclub” upstairs – basically a hall used for cinema, concerts etc. Huset seems to have an interesting history. It has had all sorts of function but it seems like it was originally built as a neutral meeting arena as the workers lived in Nybyen and a lot of the administration lived in downtown Longyearbyen. There are a few gourmet dining options in Svalbard. Other than the imported ingredients, a local has taken on the challenge of growing herbs and other plants to supply local restaurants. Nikki was coming down with a cold or maybe in need of an extra rest after dancing all night, so I started 1st of January by doing a hike called “Seed to Summit”- that is one way to start a new year! Again I was picked up at the hotel and we drove towards the Global Seed Vault again. We stopped on the road going up there and we were given some equipment: head lamp, spikes for the shoes, balaclavas etc. One of the guests was a bit freaked out by the cold, darkness and the hike ahead. After two turned around we were only 4 left in the group together with our guide and her dog. She was armed with a rifle and she gave an introduction to the gun and how it was loaded but not with a bullet in the chamber etc. The hike was not that long but it was steady uphill and again it was between -10 and -15 degrees Celsius (14 to 5 F) so certainly on the cold side. Dressing up for cold weather with hiking activity is tricky but I kept warm when I was hiking. I had wool underwear and good Goretex pants and on my upper body I had super underwear, fleece and a good down jacket. We did not use the headlamp much when we were hiking which was surprising but the eyes quickly adapted to the darkness. There was snow most of the way and this reflects light. Getting the eyes adjusted to the darkness also gave us a chance to enjoy the fantastic display of northern light that was on the sky all the time. Note: Svalbard is so far north that you can actually see northern lights looking south! According the guides that I spoke to the northern lights seems to be more intense over northern Norway compared to on Svalbard. We got to the 321 meter Blomsterdalshøgda and it was great to sit down and enjoy a cup of warm toddy (a blackcurrant sweet syrup that is mixed with hot water). At the top we had great view to Longyearbyen, to the airport etc but with the darkness it was hard to take good photos. When we looked to the south we could see a tiny strip of light on the horizon. Going down was a lot easier as gravity was on our side. We walked over to the Global Seed Vault and I got to see it once again. I was picked up at about 12.30 and I was back at the hotel at 4.30 PM. Again this was a good activity but it would have been better with more light to see more of the surroundings. The hike cost about 700 Kroner (85 USD). It is best to do this hike if you are used to a bit of walking. Have good shoes on and wind proof layers to keep the cold wind out! Note: There was a screen at the hotel reception that displayed information about weather, chance of aurora borealis, wind chill factor etc. and a countdown to the return of sun – due to peak over the horizon again on 15 February 2017 in Longyearbyen. But due to the mountains around Longyearbyen it takes a bit longer before the cities see any light. As it is so far north, the amount of daylight will increase rapidly (about 20 minutes per day). If you want to taste some exotic food you can find seal meat, whale meat and Svalbard reindeer on the menu in some of the restaurants in Longyearbyen. We had dinner at Nansen Restaurant at the Radisson Blu Polar hotel and they had a platter where we got to taste all three at the same time. Whale and reindeer was good (I have actually grown up with having whale meat on a weekly basis) but the seal meat was only worth a taste. It was very dark with an oily after taste! A taste of the arctic platter costs about 370 kroner (45 USD). We were not that impressed by Nansen Restaurant - the main meal was good but the side orders were boring. Nikki even got some lukewarm and soggy potatoes. Note: you can drink the tap water. It seems like it is taken from a source outside Longyearbyen and one guide claimed that there was not chemical filtering or purification. I found the water to be just fine but Nikki noticed the difference from the mainland. As I have mentioned already, the whole settlement on Svalbard and Longyearbyen was originally based on the fact that there was (and still is) coal in the mountains around Longyearbyen. The mining had started already by the time John Munro Longyear came to the island in 1901 but from what I understand he took it to a new level. Today it is only mine 7 that is still in production, while the Svea mine is in a dormant phase. We decided to sign up for a visit to mine number 3 which was originally mapped in 1928 but was in production from 1971 to 1996. The visit to the mine cost about 600 Kroner per person (70 USD) and we booked it using VisitSvalbard.com. We got picked up in a small bus about 9.30 am and our guide was a bear of a guy with his wild beard, long hair sticking out from under his knitted cap and a thick sweater. I guess he’s pretty used to the cold coz he didn’t add any jackets later on. He talked about the history of Svalbard and the mines in the area while we were picking up the rest of the people from various hotels and while we were driving over to mine 3. It might be good to have some warm clothes on as he took us out of the bus to talk about Longyearbyen and the landscape. The mine is located just 10-15 minutes out of town (on the same way as the Global Seed Vault) and when we got there we looked at some of the equipment that was on display outside. The guide had already given is lots of mining information and it was obvious that he had been in the industry as he knew a lot about the mining process. On the way into the mine we passed a now defunct registration area, the mess hall, the wardrobe area, charge stations for the headlamps etc. There was actually a lot of focus on HSE (Health Safety and Environment) in the mine and I guess that was needed as this was the only mine that was basically a manual driven mine. The coal layer in this area is only from 40 cm (16 inches) to 90 cm (35 inches) thick and hence there were not room enough for big machinery for the actual mining of the coal. We got helmets and overalls and were taken from room to room to look at equipment, old workshops, coal trains etc. They had even installed loudspeakers to give an idea about the sounds back in the days when it was in production. Note: the mine keeps a steady -3 degrees Celsius (26 F). Dress well as it is quite cold in there. We even got to try to crawl through a model of a mineshaft just to give people an idea of what it must have been like to work long shifts in the mines. It was only like 10-15 meters but already after that I felt like I had a layer of coal dust on my skin and in my mouth and nostrils! We rounded off the mine visit by walking into the actual main mine shaft and once we got in there we turned off the lights and experienced total darkness – I did the same is a cave in Bolivia and it is weird as you don’t experience this often these days. As we walked in it was also very easy to see the coal layer (called Longyearbyen-fløtsen) on the wall and it seemed quite flakey and brittle. We rounded off the mine tour at about 12 and we were taken back to the hotel. If you visit Svalbard you should take some time to visit the mine. It is an essential part of the Svalbard history and it is fascinating to see the work environment for miners! Note: there is great 4G coverage by Telenor around Longyearbyen and the internet is also very fast. It seems like there is fiber optical cables to the mainland due to a satellite station in Longyearbyen that needs to transmit huge amounts of data. After a quick lunch at the hotel we took the airport express bus to the airport, checked in...only to find that our plane was 1 hour delayed. The trip home also took a bit of time as we had to fly the same route back. First a quick stop in Tromsø where we had to go through passport control and take out the luggage and go through customs. After checking in again we made it to Oslo and then back to Stavanger at about 11 at night. Longyearbyen and Svalbard was an adventure and I’m very pleased that we had the privilege to visit this remote place. It was great to learn more about the history and visit a mine, it was great to ride snowmobile and it was fun to celebrate New Year’s Eve with Nikki at Huset. I would love to go back and experience more of Svalbard. It was clear that the few days we had was not enough to see all the stuff that you might want to see on Svalbard – if you can afford it! As you have seen from the price examples some of the activities do not come cheap. We were there during the polar nights with more or less total darkness day and night. According to the guides it is best to visit in March/April if you want to experience winter conditions but have light to see the surroundings. Next time I go there I would love to visit a glacier to see some of the ice caves and I would love to visit Pyramiden! I hope that this has given some useful information regarding a Svalbard visit. Get in touch by e-mail if you have any questions and I will do my best to answer. Feel free to check out more photos from Svalbard and do take a look at the Longyearbyen Google map to get information about the location of the various attractions.